Evolve Learn and share Are you homeless? If you are homeless or worried that you may become homeless, there is help and support available to you. If you are homeless, the first thing to do is go to your Local Authority or Council and ask to talk to someone in the Housing Options Team or Housing Department. London Local Authorities contact details can be found via Homeless Link. You may be eligible for temporary accommodation or be referred to a housing charity like Evolve Housing + Support for accommodation and support. If you are outside of London it is best to seek support from your local council rather than traveling to London, as the demand for accommodation is really high and local authorities prioritise help for local people with a connection to their borough. Please note- we are only able to work with people referred to us from our funding local authorities and can’t take self-referrals over the phone or in person. If you are homeless in one of the boroughs we work in, you will need to go to your Local Authourity and they will refer you to the most appropriate service for you but it won’t necessarily be an Evolve service. You can also call Shelter for more advice and support on 080 8800 4444. 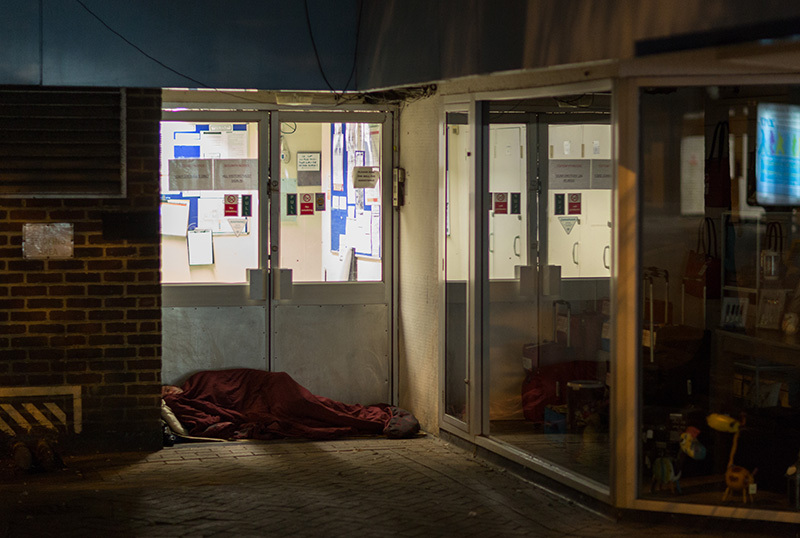 If you think you may be about to become homeless, it is always advisable to focus on maintaining your tenancy where you currently live, rather than risking becoming homeless. If you are being evicted or your landlord is threatening you with eviction, you can call Shelter on 080 8800 4444 or contact a local Citizens’ Advice Bureau who will give you information on what to do next.